The possibility of spontaneous bony fusion in deep burn injuries around the joint should be kept in mind so that effective preventive measures can be taken. 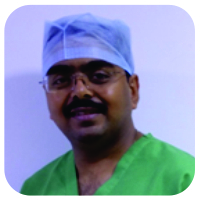 Department of Orthopaedics, Indraprastha Apollo Hospitals, Sarita Vihar, New Delhi – 110076, India. 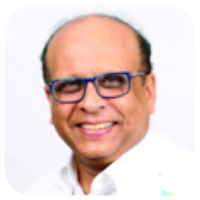 Consultant Orthopaedic Surgeon, Department of Orthopaedics, Indraprastha Apollo Hospitals, New Delhi – 110076, India. Introduction: Introduction: Ankylosis of a joint could be intra-articular or extra-articular. Intra-articular ankylosis may be fibrous or bony. Soft tissue contracture and heterotopic ossification area common finding in patients with a deep burn around the joints. Intra-articular bony ankylosis after burn is uncommon, but a possible complication and we present a rare case with bilateral elbow involvement. Case Report: A 35-year-old female presented to us with contracture of both the elbows. She had a history of severe accidental thermal burn involving mainly the front of both the upper limbs 6months back. She developed burn contracture of both elbows. X-rays of both elbows showed bony fusion. Conclusion: Spontaneous bony fusion occurs in various pathologies, some are well known, but some are rare and unusual. Development of soft tissue contracture in deep burn is quite typical, followed by extra-articular ankylosis, but true spontaneous bony fusion can also occur. The possibility of spontaneous bony fusion in deep burn injuries around the joint should be kept in mind by both plastic surgeons and orthopedic surgeons. Keywords: Burn contracture, elbow, bony ankylosis, ossification, joints. Ankylosis of a joint could be true (intra-articular) or false (extra-articular). Moreover, intra-articular ankylosis may be fibrous or bony. The causes of fibrous ankylosis include tubercular or septic arthritis, non-infective inflammatory arthritis, and prolong immobilization. Bony ankylosis is usually a sequela of suppurative arthritis, tubercular arthritis (with secondary bacterial infection in peripheral joints), trauma, neurological injury, ankylosing spondylitis, chronic juvenile, or adult rheumatoid arthritis (RA) [1, 2]. Extra-articular or false ankylosis may result from a burn contracture, prolong immobilization, myositis ossificans, adhesions of muscle, and tendons. Management of an ankylosed joint is challenging, and surgical interventions are associated with high complications rates . At an early stage, management is medical, and physiotherapy pro-duces unpredictable results. Once the ankylosis is matured and well established, an arthroplasty seems to be the only option but is associated with suboptimal results and higher complication rates. 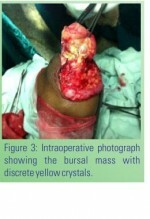 Joint involvement in burn could be heterotopic ossification, septic arthritis, contracture, and dislocation . Heterotopic ossification is a common finding after a burn contracture, but intra-articular ankylosis is uncommon. 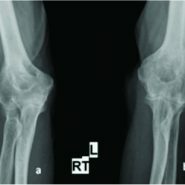 Development of septic arthritis in burn may result in bony an-kylosis . There are only a few cases reported in the literature of bony ankylosis in the burn. We are presenting a rare case of simultaneous bilateral bony ankylosis of elbow joints after burn con-tractures. A 35-year-old female presented to us with contracture of both the elbows. She had a history of severe accidental thermal burn involving mainly the front of both the upper limbs 6 months back. Initially, she was managed by the plastic surgery team for the burn. Gradually, she started to de-velop restriction of movements of both the elbows and eventually left with complete restriction of movements. On local examination, there were healed scars over the ventral aspect of both the el-bows. There were no active or passive movements at the elbow joints and both the elbows were fixed in 90° of flexion. Shoulder and wrist movements were, however, preserved. Plain radio-graphs of both elbows revealed a bony fusion of both elbow joints (Fig. 1, 2). There were no signs of active joint infection, either clinically or radiologically. Her clinical and biochemical blood parameters were within normal range. The patient was managed conservatively. An elbow contracture following burn is a well-known condition to the plastic surgeons; however, the majority of orthopedic surgeons are not familiar with it. Joint contracture is a common sequela of burn and elbows joint is one of the most common joints involved in burn contracture. The elbow ankylosis may result in significant disability, as it cannot be efficiently compensated by shoulder and wrist. Moreover, if there is a bilateral involvement, the activities of daily living are severely affected as the elbow joint is involved in feeding and perineal care, the two most im-portant functions for a human being. Total burn surface area and depth of the burn are directly related to the development of contracture . Extra-articular ankylosis due to heterotopic ossification is a well-known complication of burn contracture. However, a complete bony fusion is un-common in these cases . Exact pathology of ankylosis in burn is not entirely understood, one or more factors may be responsible for its causation. A direct injury of joint due to deep burn, the release of mesenchymal cells from damaged muscles, repeated interventions, septic arthritis after burn injury, and prolonged immobilization either direct or due to contracture may be the possible causes [2,4,6]. 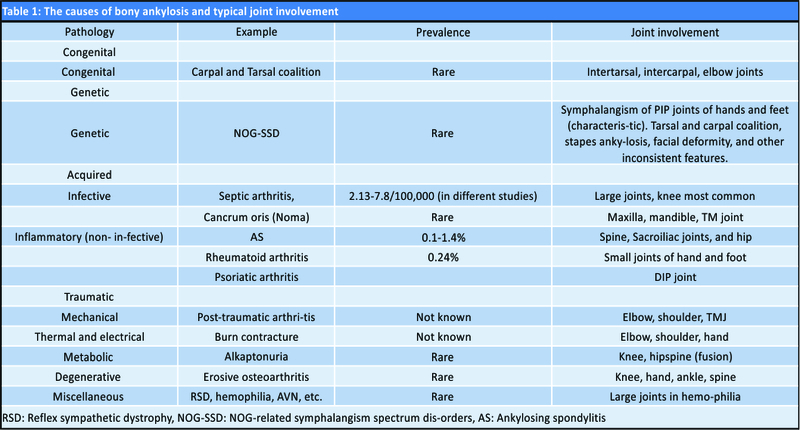 Apart from burn injuries, several other medical conditions may cause bony ankylosis of the joint and need differentiating from each other (Table 1). Rheumatoid arthritis (RA), most commonly involves smaller joints of hand and foot  and a single large joint involvement is rare. Ankylosis is known complication of RA and usually involves joints of hands and feet. However, it occurs only late in the course of the disease. Spondyloarthropathy (SPA) is a group of diseases with an-kylosing spondylitis (AS) being the most common of these. The estimated prevalence of SPA is up to 1.2% and AS the most common of this is 0.5% in the USA . A subset of osteoarthritis (OA) known as an erosive form of OA can also cause spontaneous bony ankylosis. Prolonged immobilization is a known cause of joint stiffness, but only rarely it may result in bony ankylosis when associated with manipulation and trauma. Krengel et al. reported a case of spontaneous Occiput to C2 fusion following traction and halo for atlantoaxial rotatory fixation. They proposed manipulation, immobilization, or human leukocyte antigen-related arthropathy as a cause of fusion. Infective arthritis has very debilitating effects on joints. It commonly involves large joints, and the knee is the most common joint involved. Staphylococcus is the most common organism in-volved in septic arthritis . Bony ankylosis is a known sequela of septic arthritis. Tubercular infection of the spine causes bony ankylosis, but in peripheral joints, it usually causes fibrous an-kylosis. However, when secondary bacterial infection is superimposed, the bony ankylosis may occur in peripheral joints also. A distinct condition can crumoris popularly known as noma is an aggressive polymicrobial opportunistic infection of oral cavity affecting malnourished children in Africa. It causes extensive damage to oral cavity resulted in disfiguration and ankylosis of tempo-romandibular joint and had a high mortality rate of up to 90%. The distraction of joint can cause stiffness and in rare instances bony fusion also. There is a reported case of spontaneous subtalar fusion after arthroereisis. Other uncommon causes of bony fusion of joints (Table 1) are arthrogryposis multiplex congenita (AMC), reflex sympathetic dystrophy (RSD), avascular necrosis, hemophilia, and alkaptonuria. Previously, it was thought that in AMC there is a failure of joint formation, but later, it was realized that there is a spontaneous coalition of joint. There is selective involvement of inter-carpal joints in AMC, but other joints can also be involved. The RSD causes pain, swelling, joint stiffness, and vasomotor changes of involved area but rarely may result in joint fusion in RSD. Joint stiffness in hemophilia is usually due to fibrosis, but sometimes, bony ankylosis may occur. In alkaptonuria, there is a deficiency of homogentisic oxidase resulting in the deposition of homogentisic acid in connective tissue, cartilage, and menisci. Congenital conditions causing ankylosis involve tarsal and carpal coalition. Tarsal coalition is a condition that involves fusion of one or more tarsal joints. It is caused by the failure of mesenchymal separation. Development of soft tissue contracture after burn depends on the degree of burn, total burn sur-face area, and prolonged immobilization. 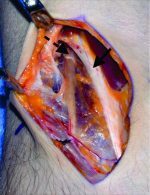 Ankylosis after burn may result from a direct joint injury during burning, soft tissue contracture, development of septic arthritis, aggressive movements, and physiotherapy and surgical trauma due to multiple interventions. Some of these factors are unavoidable, but others can be prevented. Every attempt should be made to avoid the preventable causes of contracture in the burn. Ankylosis can be prevented if the cause is detected at an early stage, although it is not always possible. Early diagnosis and commencement of treatment in inflammatory and autoimmune arthritis can prevent the ankylosis. Early diagnosis of joint infection and proper treatment of that can avoid secondary OA and ankylosis. Once the bony ankylosis is established, mostly non-surgical treatment is advisable since the surgical treatment of soft tissue release, excision of the heterotopic bone, and arthroplasty is associated with poor results [3,4]. Development of soft tissue contracture in deep burn is quite common, followed by extra-articular ankylosis, but true spontaneous bony fusion can also occur. Ankylosis after burn may result from a direct joint injury during burning, soft tissue contracture, development of septic arthritis, aggressive movements, and physiotherapy and surgical trauma due to multiple interventions. Spontaneous bony fusion also occurs in various other conditions, some are well known, but some are rare and unusual. Each of these conditions has a predilection for a particular joint of the body. Awareness about these entities is crucial to have a high suspicion during management of these cases so that effective preventive measures are taken. Mostly, non-surgical treatment is advisable since the surgical treatments are associated with poor results. True spontaneous bony fusion can also occur following the development of soft tissue contracture in deep burn. Awareness about these entities is crucial to have a high suspicion during manage-ment of these cases so that effective preventive measures are taken. 1. Balen PF, Helms CA. Bony ankylosis following thermal and electrical injury. Skeletal Radiol 2001;30:393-7. 2. Seth MK, Khurana JK. Bony ankylosis of the elbow after burns. J Bone Joint Surg Br 1985;67:747-9. 3. Ahmed OS, Cashman JP. A rare case of spontaneous fusion of the knee. Am J Orthop (Belle Mead NJ) 2017;46:E83-E85. 4. Evans EB, Larson DL, Yates S. Preservation and restoration of joint function in patients with severe burns. JAMA 1968;204:843-8. 5. Manske MC, Hanel DP. Postburn contractures of the elbow and heterotopic ossification. Hand Clin 2017;33:375-88. 6. Davis DL, Resnik CS. Case 229: Burn-related global ankylosis of interphalangeal joints with associated acroosteolysis. Radiology 2016;279:645-9. 7. García-Morteo O, Gusis SE, Somma LF, Maldonado-Cocco JA. Tarsal ankylosis in juve-nile and adult onset rheumatoid arthritis. J Rheumatol 1988;15:298-300. 8. Harper BE, Reveille JD. Spondyloarthritis: Clinical suspicion, diagnosis, and sports. Curr Sports Med Rep 2009;8:29-34. 9. Ter Borg EJ, Bijlsma JW. Spontaneous ankylosis in erosive osteoarthritis of the finger joints: A case series of eight postmenopausal women. Clin Rheumatol 2014;33:1015-7. 10. Krengel WF 3rd, Kim PH, Wiater B. Spontaneous ankylosis of occiput to C2 following closed traction and halo treatment of atlantoaxial rotary fixation. Global Spine J 2015;5:233-8. 11. 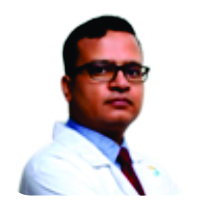 Al-Tawfiq JA, Babiker M. Incidence and bacteriologic causes of septic arthritis in a gen-eral hospital in Saudi Arabia. Ann Saudi Med 2013;33:116-8. 12. Newcombe DS, Abbott JL, Munsie WJ, Keats TE. Arthrogryposis multiplex congenita and spontaneous carpal fusion. Arthritis Rheum 1969;12:345-54. 13. Stratton NJ, Sharpe KP, Thordarson DB. 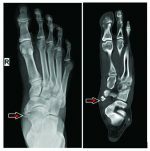 Spontaneous fusion of the midfoot following reflex sympathetic dystrophy. A case report and review of the literature. Am J Orthop (Belle Mead NJ) 1996;25:497-9. 14. Rodriguez-Merchan EC, Blanco M, Sanjurjo MJ, Magallon M. Joint replacement for a spontaneously ankylosed hip in a haemophilic patient. Haemophilia 1999;5:69-72. 15. Orzincolo C, Castaldi G, Scutellari PN, Cicognani P, Bariani L, Feggi L, et al. [Ochronot-ic arthropathy in alkaptonuria. Radiological manifestations and physiopathological signs]. Radiol Med 1988;75:476-81. 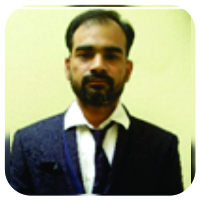 How to Cite This Article: Vaishya R, Singh A, Agarwal A, Vijay V. Bilateral Spontaneous Bony Ankylosis of the Elbow Following Burn: A Case Report and Review of the Literature. Journal of Orthopaedic Case Reports 2018 Sep-Oct; 8(5): 43-46.